On Sunday I am running a half marathon. One of my running tribe has renamed this the marathonette. It’s not half anything, it is a bl**dy race, all of its own. It is after all 13.1 miles. The last few weeks have been tough. I am, according to a great friend ‘officially the busiest person I know’ and in the last month, I’ve slept in my own bed for 18 nights (out of a possible 28) and of those 18 I have actually spent only eight of them actually in the house all evening. I love my job. 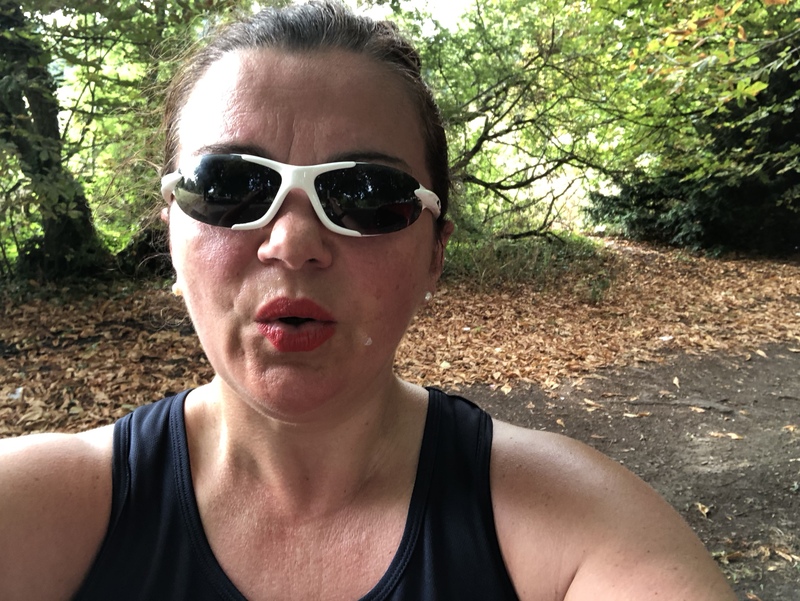 I work with a fantastic team, both in the business (Pinch Point Communications), with my roles at the HSE and The National Assembly Commission for Wales; but training for a marathonette should probably involve more sleep and more down time. So it is Thursday and I have three more sleeps to go. These will all be at home, all evening and all night. Phew. (There is the matter of a jaunt to London on Friday, but that is for a client I love and subject matter I am passionate about….it’s not really work is it when you love it so much? I know I am so so fortunate). Mile one. This one is for my amazeballs Tri and Champers Buddies. Claire and Paula. They are just fantastic. Steadfast, constant, reliable – in both the tri and the champers categories. We are the founding members of our very own #teamfearless and we will do a tri all together before too long, despite injury and diary challenges. On Sunday girls, I will be chanting your names, feeling your energy and iron(man) will behind me and your supportive voices shouting “For f**k sake, slow down Sarah”. Mile one is for you. Mile two. This is for my Sunday morning TMR crew. I adore leading the social runs and I am often the one at the back. A few weeks ago I had a meltdown at mile 8 (I had run for an hour before the social run, more of that later) and I just hit the wall. It was the most moving and amazing experience. I felt embarrassed for 30 seconds, then I felt loved and supported, re-energised and focused. So I ran another mile. For anyone who thinks they cannot. Mile two is yours. Mile three. This is for the phenomenon that is every single woman on a board that I have ever met. It’s hard work (we knew that). It’s challenging (of course). But it’s unequal and inequitable. And that we should not put up with. I am doing everything I can to change that. This is for Judith, Susan, Janice, Cheryl, Claire, Sarah, Rachel and Karen. You’re trailblazers and I tip my hat to you. And if you want some encouragement for your career, come to our conference. Book here. Mile four. This is for my team. Bryony, Kerri, Lesley, Jan, Peter, Adrian, Si and Tom, Nicola, Magnus and JG. I love my job. I respect you all. We are doing some difficult, but important work and we love what we do. Keep it up (you and me at this stage!). Mile five. This one is for my single, biggest inspiration. Grandma. The woman who gave me my feminist footprint. One foot in front of the other, I am doing all of the work supporting women for her. Hilda Winifred Stevens, this one is for you. Mile six. This is for my much beloved young woman I know. Strong, gorgeous, bright and witty. Intelligent and beautiful and struggling daily with mental health challenges. I love you, you know that. We can and we will. See you in Hawaii my darling. Keep safe, keep strong and I will pound those pavements for you. Mile eight. Uncle Chris. He died for cancer too quickly and too soon. I love you. I miss you. I started running because I missed you and I will never stop. See you later. Mile nine. This is now renamed (by Sarah Pugh) Cloud Nine. This is all mine. Me, myself and I. I am 46. I am knackered. I am running a marathonette and I rock. No apology. At the end, miniteampg will be so proud and so will I. I will cry. I will drink champagne. I am strong. I am fearless. No one can stop me now. Mile ten. Miniteampg and John. My home team. #TeamPG. The rock on which I have built everything I do. This one is for them, for us, for the empowering, nurturing, 100% supportive home life I have. Love you. Mile 12. The godsisters. Kate, Kerri, Julia. It’s too personal and there’s not a lot I can say; except thank you and where is the Vina Sol – Picpoul – Viogner. Bring it on. Mile 13. For my parents. Without them I am nothing, John and Judith Pinch, you are fab. 0.1 That is for me. My victory 0.1. The end. or the beginning……did I mention the ironman length tri I am doing in June. Or the 100K bike ride. or the 100 mile bike ride. I suggest you don’t mention it right now. I have my eye on: a bath, a vat of champagne, eating A LOT, hugging my #teampg and sleep.